A range of textures and patterns, along with intermingled tones of beige and taupe makes the Stripe collection unforgettable. Product Description Tropically Perfect. Take a load off, let your hair down, and come home to the tranquil and inviting Stripe area rug. Multifaceted and complex designs fill the room with a refreshing and inspiringly creative tone. Strongly woven sisal keeps the good vibes coming, indoors and out, with stain and weather resistant durability. Creative, geometric combinations of grid-like braiding and opaque streaks of beige brings out the charm in any room. Unique Features: Organic jute texture features a natual and relaxed design. 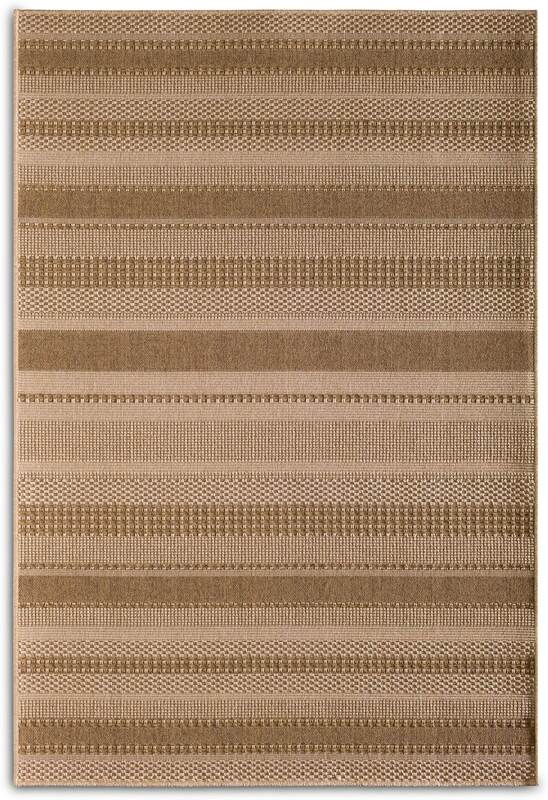 Varying beige and brown stripes make for a neutral and calm color palette with an interesting and dynamic pattern. Indoor and outdoor stain resistant exterior means endless décor possibilities and versatility in use.